Marvel Universe - WOLVERINE'S BACK, Bubby! 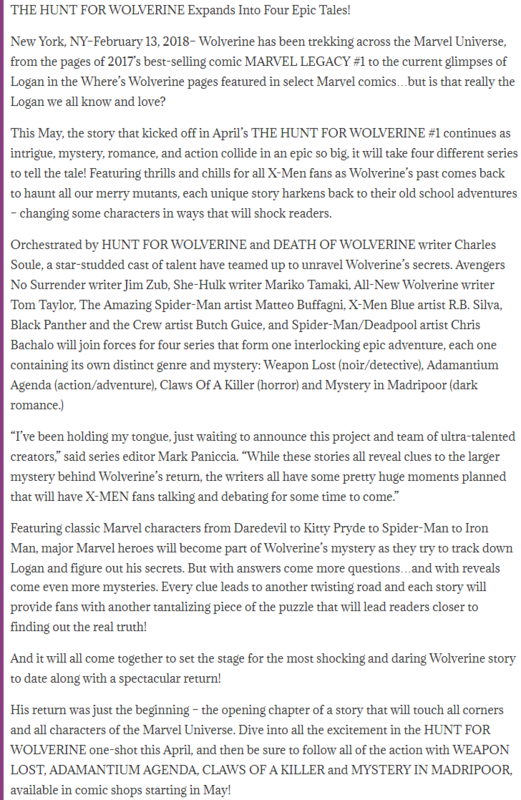 > Wolverine is back…or so it seems. 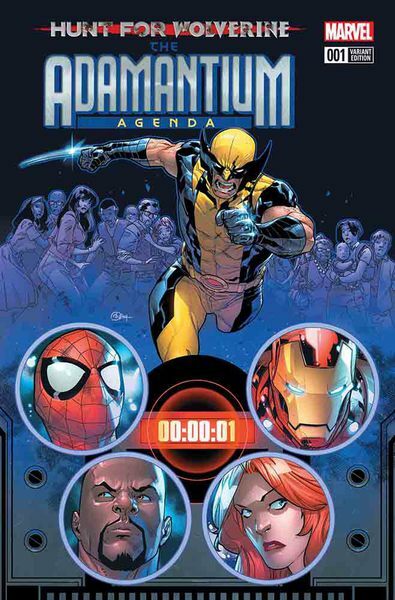 Ever since MARVEL LEGACY #1, we’ve gotten glimpses of what appears to be Wolverine popping up across the Marvel Universe. But is it really Logan? > For a character with as rich a history as Wolverine—even though he sometimes couldn’t remember it all himself—telling the tale of his potential return can’t be contained to just one series. 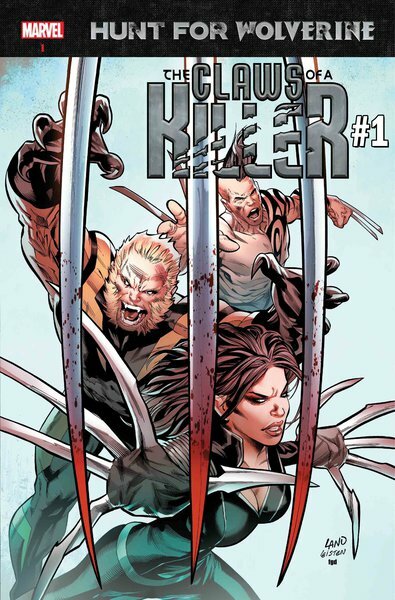 In April, THE HUNT FOR WOLVERINE #1 one-shot will be released, and then in May, four different four-part series will debut that will continue the story. 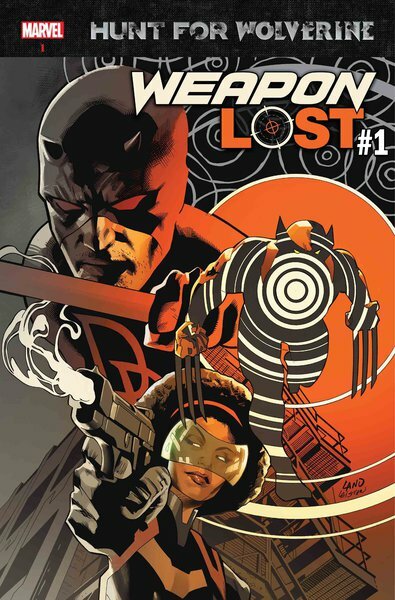 As Wolverine’s past comes back to haunt many a mutant, each story will harken back to an old school adventure. 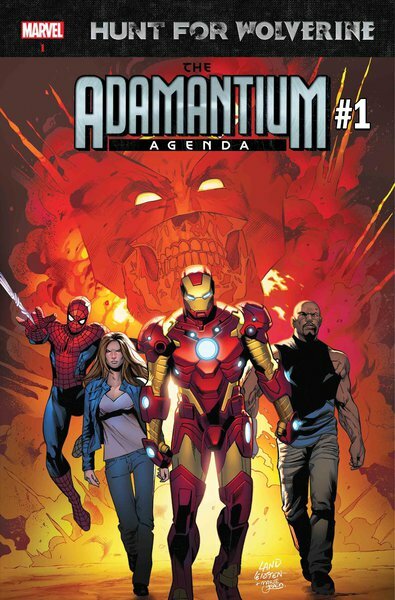 > Major Marvel heroes like Daredevil, Kitty Pryde, Spider-Man and Iron Man, will become involved in the story, as they try to track down Logan and figure out his secrets. 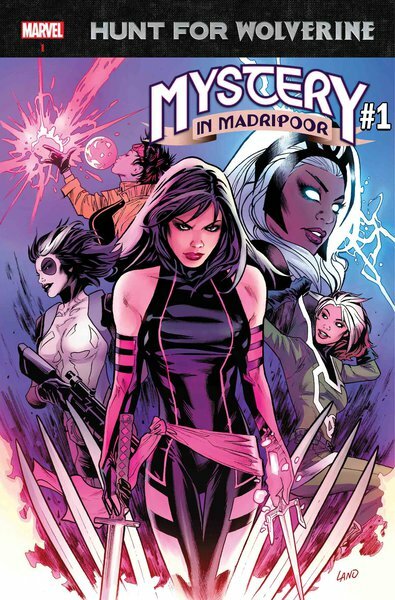 Each series will also contain its own distinct genre and mystery: WEAPON LOST will be a noir/detective story, ADAMANTIUM AGENDA more action/adventure focused, CLAWS OF A KILLER fits its title with a horror style, while MYSTERY IN MADRIPOOR is a dark romance. He also made an appearance in Marvel two-in-one #3 last week.